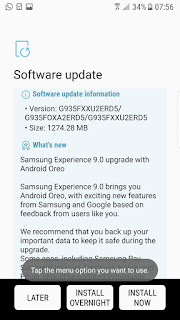 Samsung has started rolling out Android 8.0 Oreo Update for Samsung Galaxy S7 and Galaxy S7 edge Smartphone. 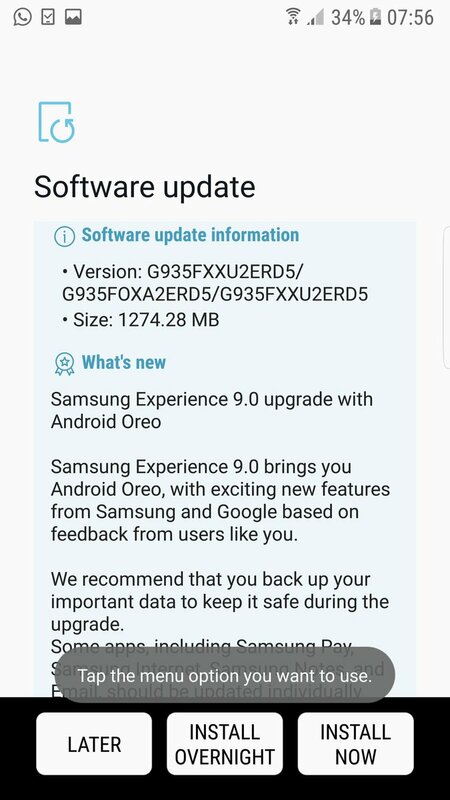 The OTA update is now available in the United Kingdom.The Update version is G930FXXU2ERD5 and G935FXXU2ERD5 and 1274.28MB. The Update is rolling out in phases. The timeframe that Samsung had recently provided called for a wider release by mid-May so we can expect the update to go live in additional markets over the next couple of weeks.The firmware is only available over-the-air right now and can’t be downloaded through SmartSwitch. New Feature of Android 8.0 Oreo is included The firmware update also comes with the April security patch.